Gayle Cerlan is currently working on two different bodies of work for two different exhibits. Here we see work she will be showing in Louisville with Jacque Parsley in September 2018. Cerlan’s pieces are ceramic sculptures that capture an aesthetic from more than a century ago but also feel of a more recent time. “Alice in Potterland” is an obvious allusion to the Lewis Carroll classic, and could almost be an artifact from the late-Victorian period in England. Yet there is also a degree of American sensibility from 100 years later, a time when Carroll’s fantastical, hallucinatory imagery found purchase in the counter-culture. And what are we to make of the small skull tucked under the arm of this unique hare? There is ample narrative in this body of work, and it seems likely that its full effect would be best experienced seeing them as a group, so that the characters are encountered in context and the viewer may find their own story. The bemused, slightly vacant gaze in the face of “Amelia” captures a surrealistic charm that causes us to ponder whether the flowers above her head are contained within the vase or are indeed growing directly from inside this baroque lady’s skull. Cerlan has been an active member of the Kentucky arts community through her involvement as the creator and director of the Cityworks exhibition (1997-1998), and as curator of the DinnerWorks exhibition (1994-1997). 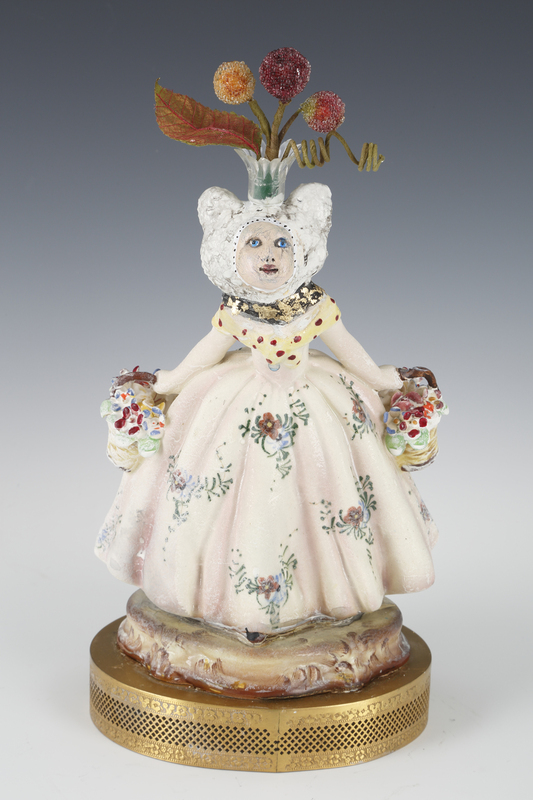 She has served on the boards of Louisville Visual Art and the Kentucky Museum of Art & Craft and has been an Adjunct Professor of Ceramics at Indiana University Southeast, Bellarmine College, and the University of Louisville. She founded Cerlan Gallery in Lexington, Kentucky (1997-2007) and established a fine arts school for all ages, ArtStudio (1997-2014). 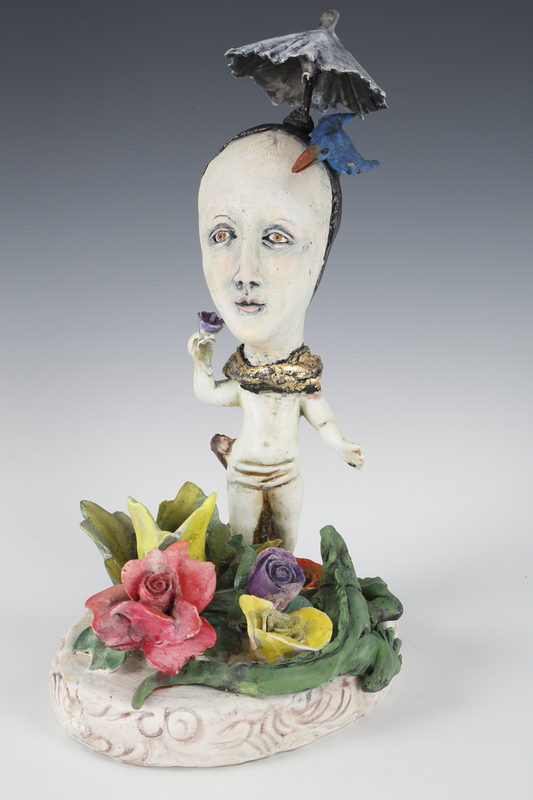 Cerlan has exhibited her ceramic art nationally and internationally and has won many awards and grants. Her work can be found in numerous public collections. Education: BFA Louisville School of Art; MA, University of Louisville; Completed coursework at Alfred University in New York.